Grate ginger (no need to peel) into a cheesecloth-lined bowl (this took me about 20 minutes and was a good arm work-out!). Gather cheesecloth and squeeze ginger juice into bowl. 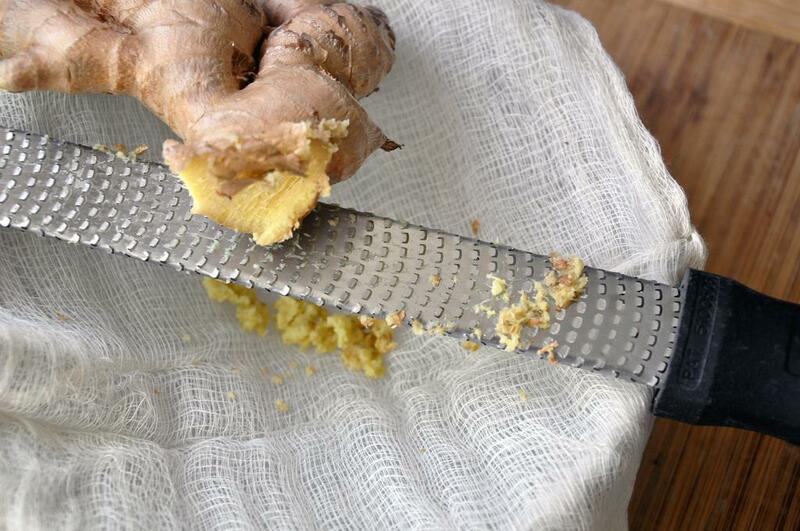 Strain to remove ginger bits. 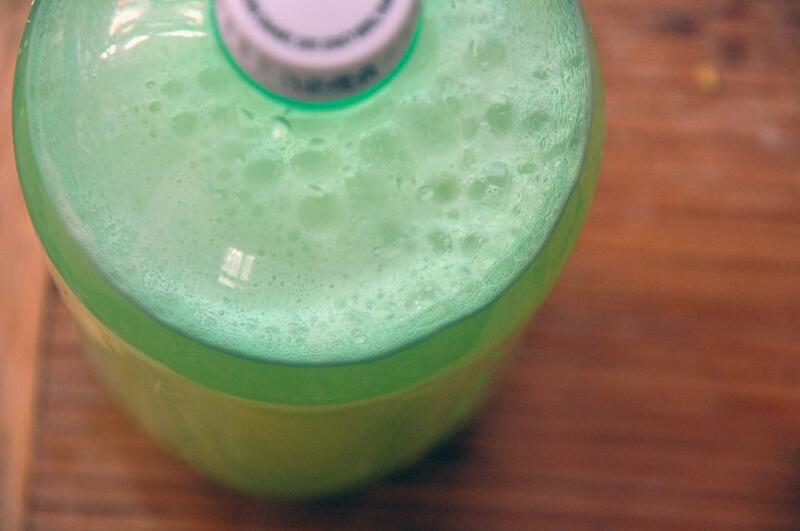 Place a funnel in the mouth of the 2L bottle. Pour in ginger juice, lemon juice, sugar, yeast, salt and enough luke-warm water to fill, but leave about 2" clearance. Screw cap on tightly and shake to dissolve sugar. Place in a warm, dark place about 24 hours, until bottle is hard. 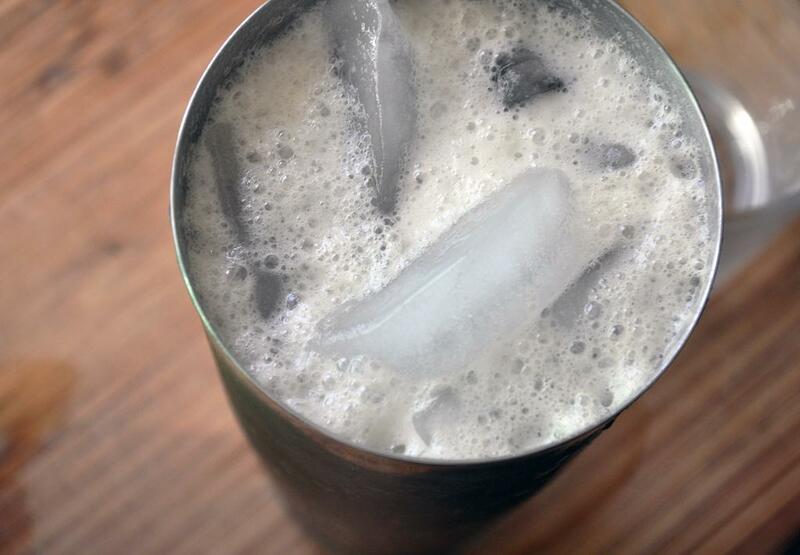 To make one drink, fill high ball with ice, squeeze 1/4 lime into it, add 2 oz dark rum, 6 oz ginger beer and mix well. 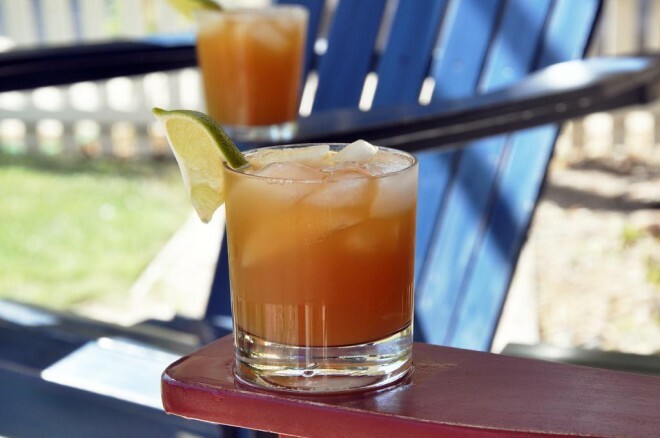 Garnish with another 1/4 lime wedge.